Are you trying to conceive, but it’s taking longer than you expected? Are you feeling a little wary of starting fertility treatment? Even with all of today’s technology, getting pregnant sometimes seems to be even more difficult than ever. Around 6.1 million U.S. women struggle to get or stay pregnant — that’s about 1 in 10 women (source). There are various factors affecting fertility, such as the environment, stress, and unhealthy lifestyles. But in saying this, going down the road of fertility treatments can be long, tiring, and expensive. So before taking that step, it might be worth trying out fertility supplements first. In a nutshell, these are all the super vitamins and minerals your body needs to help you to reproduce. Today, we’ll let you in on exactly what fertility supplements are and what you need to look out for. Plus, we’ve compiled a short list of the best fertility supplements on the market. Use the links above to check the latest prices or read our in-depth fertility supplement reviews below. Most fertility supplements contain different ingredients that, once inside your system, will help to increase your fertility. They’re not just for women, though, since men can suffer from fertility problems as well (source). Fertility supplements generally contain only natural products, such as herbs, amino acids, vitamins, or minerals. Because of this, you can buy them over the counter or online, as opposed to medicated supplements, where you’d need a prescription. For the most part, natural fertility supplements function as a nutritional supplement. Still, some of them have specific formulae, designed to target a particular fertility problem. Although there are also fertility supplements for men, these are different than those for women. Our supplements mostly target the hormones and ovaries. For men, it’s more about sperm health, and boosting those little swimmers on their way to the egg. How Exactly Do They Help Fertility? Any woman who has tried to conceive for a while without success probably wishes there was a magic bullet. Imagine simply having to pop a pill and getting pregnant within a month! However, that’s an unrealistic expectation when it comes to fertility supplements. While they do contain the ideal ingredients for optimal health and will prepare your body for pregnancy, they can’t cure infertility. Until now, there haven’t been many studies on fertility supplements. That said, those already researched, appear to give a slight advantage on the road to conceiving (source). It’s not easy to say exactly what fertility supplements do, besides promoting fertility. It depends on which ingredients they contain, what you’re lacking, and the issue you might be facing. But most set out to regulate two main hormones, progesterone and estrogen — ultimately regulating the menstrual cycle. Many women with irregular cycles, as well as those with polycystic ovary syndrome (PCOS), may find supplements especially helpful. The ingredients help to balance out the hormonal disturbances preventing them from completing a successful pregnancy. Of course, always pair supplements with a healthy diet and lifestyle. This will not only help you conceive but also optimize your health during pregnancy and lessen your chances of complications. It’s easy to assume that if something has “natural ingredients,” it’s safe to use. Add to the fact that you can easily buy them without a prescription and we automatically deem them as the safest option. Unfortunately, that’s not always the case. Every time we take in a substance, it’s bound to interact with our bodies. Even natural ingredients can have side effects, especially if you take too much. The thing to be aware of when taking fertility supplements is that the FDA does not regulate them (source). If you’re a healthy person in general and don’t suffer from any diseases or allergies, you’ll likely be fine. But if you do have a medical condition, supplements could interfere with your medication. One thing you might not be aware of is that certain herbal remedies can reduce the efficacy of birth control pills. Although, if you’re reading this article, I doubt that this is of any concern to you right now! It is crucial to consult your doctor before you take any supplements. Some vitamins and minerals, if taken in high doses, can be harmful to the body. But as long as you stick to the instructions and advice from your doctor, you should be fine. Fertility supplements don’t all contain the same ingredients. Each product you’ll find will likely have a different combination of vitamins, minerals, and herbs. Below is a short list of the most common. You may see this listed as N-acetyl-L-cysteine or NAC. It made its way into fertility supplements due to its antioxidant properties. When it comes to women’s cycles, NAC plays an important role in regulating them to optimize fertility (source). This is especially useful for women with PCOS. Our bodies produce this substance to regulate levels of insulin, but you can also find it in food. At the moment, researchers argue that this is part of the vitamin B group, although no conclusions have been made. This vitamin is useful for women with PCOS, since it also helps regulate the menstrual cycle (source). This is a hormone that our bodies also produce. It’s helpful for women who are going through IVF or have lower ovarian reserves, which occurs with aging (source). For women with substantial reserves, however, it could be harmful, so contact your doctor before taking. Originating from the Mediterranean region and Central Asia, this herb was thought to minimize sexual desires among medieval monks (source). It’s used to decrease levels of prolactin in women. This, in turn, balances the levels of hormones, resulting in a more regular menstrual cycle. This is another herb we can trace back to the middle ages. It was formerly used to heal wounds and diseases. Today, however, most women use it to regulate their menstrual cycle (source). CoQ10 is an enzyme which has been shown to improve the quality of a woman’s eggs (source). It has also proven useful for men’s fertility. These are some of the most important substances for our bodies — often described as the building blocks of life (source). Some we produce ourselves, but others must come from food or supplements. 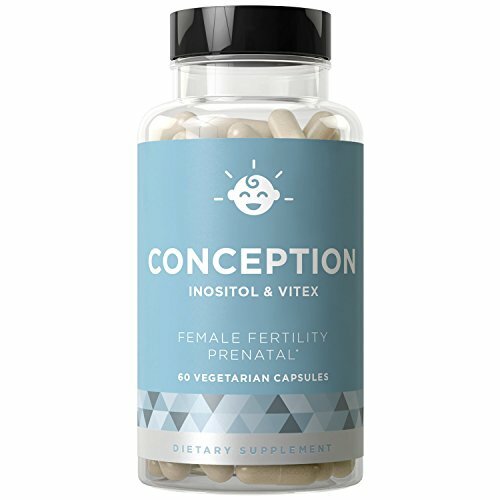 L-carnitine and L-arginine are two that we don’t make naturally — but both help to promote fertility. L-arginine, in particular, is important for women as it boosts the blood flow to the ovaries. This may help if you have PCOS (source). You will see this in nearly all fertility supplements. Antioxidants are extremely important for our bodies. When it comes to fertility, one of the things they do is promote healthy eggs and sperm (source). These are essential, not only for conception but also for the health of the fetus. One in particular, folate, helps prevent miscarriage and birth defects (source). Now that we know which supplements may help, it’s time to explore some options. Below I’ve put together five different categories of fertility supplements (even one for hubby). Polycystic ovary syndrome, or PCOS, is a common condition that affects many women (source). It causes a hormonal imbalance and problems with the metabolism, ultimately affecting overall health. Unfortunately, it’s also a common cause of infertility. Luckily though, it’s treatable and many women can conceive. There are plenty of fertility supplements that can help you along the way, but look for one that contains the right ingredients. PCOS can make it difficult to conceive. Fortunately, these vitamin capsules from Eu Natural contain plenty of helpful products. One, in particular, is myoinositol. When affected by PCOS, you want something that will balance out your cycle and improve your fertility. Besides myoinositol, this supplement contains chaste tree berry, folate folic acid, and organic KSM-66 ashwagandha. This combo will encourage a hormonal balance that will get your body into the right conception rhythm. One thing that we love is the pure vegetarian formula. There’s no gluten, dairy, wheat, or artificial substances, and no animals were involved in the testing. Another great feature is the soft exterior of the capsules. They’re super easy to swallow. The last thing to mention is that when you purchase a bottle, you help a child in need. The company donates a year’s supply of vitamins through the Vitamin Angels 1-for-1 Match program. All natural ingredients, proven to help fertility. Your purchase helps a good cause. It contains high doses of some herbs, so be sure to discuss with your doctor before taking. Having irregular cycles can make it very difficult to get pregnant. This is one of the issues I faced when trying to conceive. Tracking my temperature didn’t get me very far and trying to look for clues just left me discouraged and, frankly, feeling abnormal. Fertility supplements could become your best friend. That said, not just anything will do. You’ll need those that contain the right ingredients to balance your hormones and regulate your cycle. 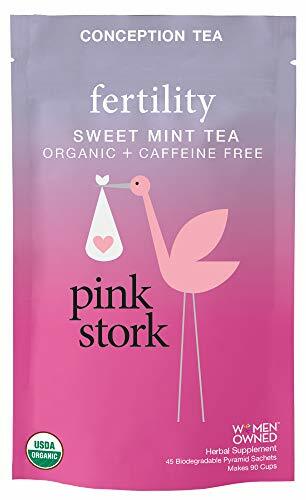 If you’re a tea lover, then you’re likely to enjoy this fertility tea from Pink Stork. For starters, Pink Stork is making its mark on the fertility scene. They provide trying to conceive women with capsules, teas, and even gummies! But let’s get back to the tea, shall we? Their fertility tea contains all the right components for regulating your cycle. Inside each tea bag, you get a blend of chaste tree berries, red raspberry, and nettle — just the right amount of vitamins and amino acids. Additionally, these ingredients can help reduce stress — a sworn enemy of fertility (source). Stress can have severe impacts on a woman’s ability to conceive, so this is a much-appreciated bonus. There’s only one flavor available, but don’t worry, it’s a pleasant one. The sweet mint flavor is great in the mornings when you need a dose of freshness. However, it’s completely caffeine-free, so you can also drink it at bedtime, or before a sneaky nap in the afternoon. The sachets are organic and biodegradable, so alongside helping your fertility, you’re kind to the environment. In saying this, some reviewers do say that it’s a little too sweet for their taste. Excellent fertility boosting ingredients known to regulate cycles. Might be too sweet for some. A choice of flavors would be great. Fertility issues don’t specifically target women, they can strike men as well. Sometimes, the little swimmers simply aren’t agile enough to get to the egg. This means men can also benefit from a supplement or two. So why not make it a couple’s thing? In that case, it’s probably best to try share the same fertility supplement. If you and your partner in crime are looking to optimize your chances of conceiving, then One A Day has a solution. It provides you with a multivitamin couple’s pack. Inside, you have two different sets of vitamins for him and her. Contrary to the ones above, One A Day focuses on vitamins to boost your health before and during pregnancy. One of the key components of the “for her” vitamins is folic acid. This substance is essential for a healthy fetus, promoting brain growth. Other ingredients you’ll find are calcium carbonate and omega-3 fish oil. Omega-3 fish oil is excellent for overall health and regulating menstrual cycles. But it’ll also enhance your mood and reduce stress. 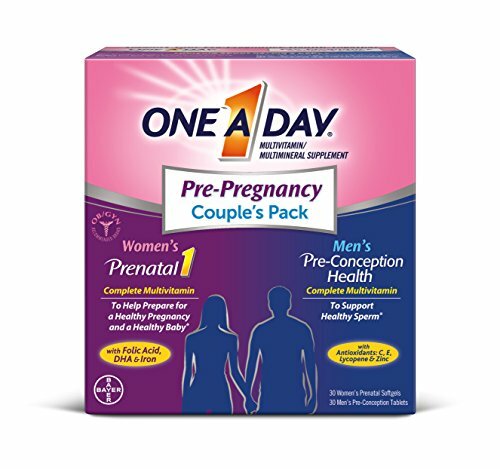 One A Day recommends that you continue taking this supplement into your pregnancy. However, consult your doctor beforehand. Now for your partner, he’ll get a dose of antioxidants to support his sperm health, including vitamins C, E, zinc, lycopene, and selenium. What we love is that both sets are free of additives. They contain no artificial flavors or sweeteners, gluten, or dairy. The capsules are soft gel and fairly easy to swallow. However, they are a little large for some people. His & hers supplements in one pack. Excellent ingredients for a healthy body and baby. Through the years, we’ve become aware of the importance of buying organic. Today, we buy organic vegetables, milk, and other produce. So why not keep it up by opting for organic fertility supplements? One major plus to buying organic is that you’re sure there will be no artificial additives. 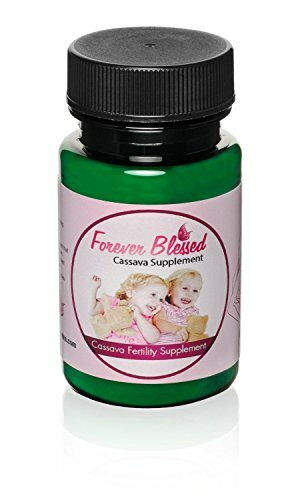 With this organic fertility supplement from Cassava, you’ll get a strong dose of super ingredients. Cassava actually promotes this supplement as a hyper-ovulation product, meaning it might increase your chances of conceiving twins. While you should take this claim with a grain of salt, the product does seem to improve overall fertility. The supplements contain cassava — a woody shrub originating from South America. What happens is that the cassava contains a chemical which triggers the release of GnRH hormones. These trick the brain into producing more gonadotropin. This, in turn, increases your ovulation rate. One thing to love about this supplement is that the company grows its own cassava produce. This way you can be sure it’s 100 percent organic. And although these products aren’t regulated by the FDA, Cassava is a certified FDA registered manufacturer. However, if you have PCOS, consult your doctor before taking these, as they may not be suitable. Cassava is an FDA registered company. Might be unsuitable for those with PCOS. The claim of increasing chances for twins can be off-putting for some. Swallowing a pill for prolonged periods can get annoying and, for some people it’s practically impossible. The capsules begin to taste bad, and your throat simply refuses to swallow them. A drink mix is a great alternative here. 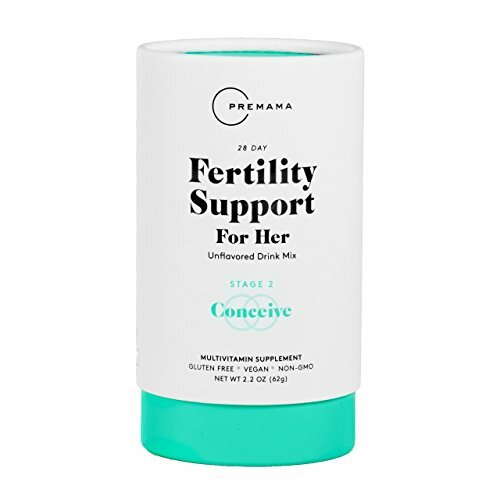 If you prefer to take a liquid supplement, then take a look at this fertility supplement drink from Premama. It promises to improve the quality of your eggs, as well as promote natural ovulation. The best feature is the ingredients — myoinositol and folic acid. These will give your ovaries a boost, as well as giving your baby a good start in life. One of the things that stood out to us was that this drink mix is award-winning. We all know that the problem with this type of supplement is that the taste gets tiring after a while. Luckily, this is completely flavor-free so you can easily pair it with any drink. Because of its ingredients, this mix may also help women with PCOS. And it’s also very gentle on the tummy. All you need to do is mix one sachet with 12 ounces of any drink — but avoid carbonated drinks. Alternatively, you can also mix it into a smoothie if you prefer. Another major plus is that it’s non-GMO, gluten-free, and vegan. Everything inside is natural. Side effects may include acne and oily skin. Some reported it made their menstrual cycle irregular. Fertility supplements contain all the ingredients to optimize your chances of conceiving. The most common components include vitamins, minerals, amino acids, and various herbs. Most products will help regulate your cycle and increase the quality of the eggs. But we recommend that you always consult your doctor before taking any supplements. We hope that you enjoyed our list, and if you’re interested, our favorite supplement is CONCEPTION fertility prenatal vitamins. It’s all natural, popular, and each purchase contributes to a good cause. Have you conceived with the help of fertility supplements in the past? Please leave a comment for us below, and make sure you share our list.